The field of Recruitment has also evolved due to the changing times. 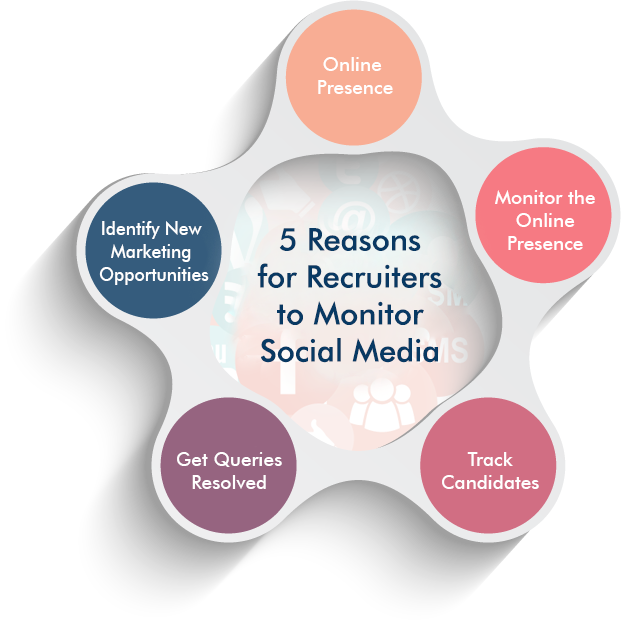 Unlike the Traditional Recruiting Methods that weren’t very effective, the Modern Methods use Social Media as a recruiting strategy as it is not only cost effect but also speeds up the process. Nevertheless, for recruitment to be successful there are other aspects that have proved effective but in collaboration with Social media. 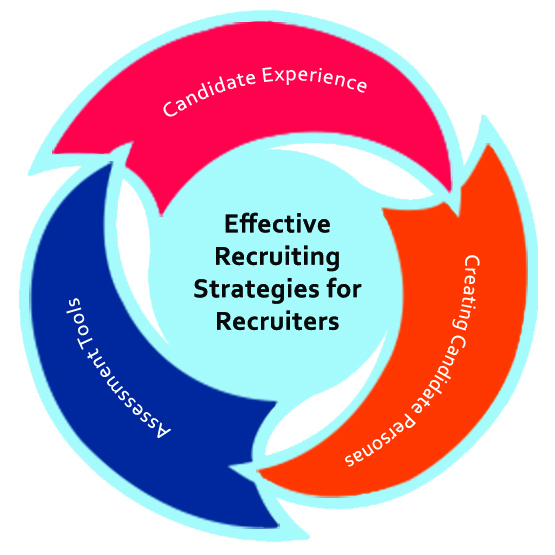 A growing trend in the field of recruitment is the candidate’s experience during the entire hiring process. Nowadays a candidates experience makes all the difference because the experiences are shared within the individuals social network thus it can affect the reputation of the company. These reviews have an impact on potential employees hence it can limit the number of applicants for that job. When creating job descriptions the new trend followed is crafting the ideal persona, specific to the vacancy instead of a simple description. The aim is to put a face to the description which gives the candidate a clear understanding to what the job profile calls for. This in turn helps the applicant to decide whether they are the right person for the job. Such a job description helps Recruiters and Sourcers alike in identifying the right candidate and it also reduces the irrelevant applications received, that they would otherwise have to manually discard. There are several assessment tools available to recruiters today to enable them to screen individuals on the talents and skills they possess. But even these have to be regularly updated with the changing times else they are rendered inaccurate and useless. Hence these tools too should be updated before administering them as screening tools. Personality assessments give you detailed information and insights into the individual’s personality traits which gives you a fair idea about their capabilities that can help you to sort out suitable candidates. These are effective strategies most Recruiters use when selecting potential candidates for their vacancies. These have lately proven to be very effective in screening suitable candidates thus ensuring that you recruit the right individual for the specific profile. These aspects also ensure that you prevent irrelevant applications from crowding your inbox that boosts the selection process making it easier to swift through since you have a pool of individuals of caliber to choose from. If you thought that Social Media was only for portraying your social presence and to catch up or mingle with your friends, well think again. Owing to the huge success that is Social Media and its ever responsive users, even Business owners have realised the potential of Social Media and its effectiveness in marketing their products. So before you post something on your page, stop for a minute and analyse your posts because even employers are active on these sites. What you post is evaluated and viewed at the time of job hunting too. And don’t think that this doesn’t apply to you because you’re a Recruiter in fact it mainly applies to you as you’re representing your company. As a Recruiter part of your job description usually requires you to not just monitor Social Networking sites but to build your network as well. And the way to enhance the quality and quantity of your Connections is through Social Media. So why monitor Social Media? Well if every second person is active on Social Media you too are probable there; working hard to collect potential candidates for your company. Well even employers and their competitors are fairly active online but for branding. Doesn’t this make you wonder, what a small world we live in? Everyone you’d want to contact and the ones you wish didn’t get in touch with you are all there doing the same thing, you do. Thus your presence or the company’s is equally important hence be cautious and professional on the page at all times. With similar companies mushrooming in different pockets, it is absolutely essential that you know and have first-hand information on the latest developments in your connections and that of your competitors. Hence, the proverb, “the early bird catches the worm” holds true for anyone in the Recruiting business and for a company’s competitors too. Although Social Media has made the task of reaching customers fairly easy it also requires you to monitor them so that you are targeting the right people with your job specs. This is important especially when you have over 2 billion people active on Social Media sites with different interests and counting. You don’t want your efforts wasted; you want it to be worth your time and effort spent, to achieve the best results and being cost effective. You don’t want to market to the wrong people and risk losing potential Candidates while simultaneously affecting the company’s reputation. Resolving the queries that potential Candidates bring forth via interviews is a part of the Recruiting process but a vital one. This is because it plays an important role in the Candidate’s decision making process. By giving solutions you speed up the process and are likely to land with the desired Candidate at the right time, before they are picked up by another company. Let’s face it acquiring good talent is not a common occurrence but rather a rare one. If you’re a Recruiter you’d agree to this statement. The Social Media platform is filled with endless opportunities that haven’t yet been discovered, so why not be the first to use it to your advantage. This will automatically filter out those competitors who haven’t yet encountered this method before they catch up with you. This will give you access to the best pool of Candidates available at that time and that too with the right calibre. Like I always say explore all your opportunities before you decide on one and stick to it and even then explore some more. As you will never know when that effort will pay off and land you with a suitable and adequately qualified employee. So look for a way on how you can convince him / her to join your company or risk losing that Candidate to another instead. You definitely don’t want that, now do you? WhatsApp Group Chat – Twitter Completes 10 years so how has it helped you? We’ve been utilising the popular Social Media Channel i.e. Twitter for quite some time but have you ever stopped to think about how it has helped you in your ordinary tasks. If not then it’s time to look back on all the aspects about Twitter as a whole to find out how effective it has been in our hunt for Talent. That’s it for our discussion; now this was an amazing discussion with lots of take a ways. Add to this conversation with your own insights that we’ve not covered and it would be a discussion that shouldn’t be missed. So if you’re still not a part of these discussions you don’t know what you’re missing. These insights I can assure you are worth your while, besides we’d like to get your insights too as they’d be a unique perspective that we haven’t had the privilege to encounter. Therefore be sure to become a part of our WhatsApp Group discussions to add to your learning and teach other fellow Talent Acquisitionist’s on a fun and enlightening platform of Sourcing ADDA. Follow @SourcingAdda for updates to our upcoming events and our most exciting event of the year i.e. the Annual event #TASCON16. We all use excel on a regular bases either for entering data, generating leads, bulk emailing and lots more but have you ever wondered what else you can do with Excel and how helpful it can be to you as Talent Acquisitionist’s? Well this brings our interesting topic to rest based on the conversations we’ve received, who knew how important Excel can be in simplifying our work. And now we’ve got our work simplified further with the amazing insights expressed. If you haven’t taught yourself more about Excel then it’s probably time to boost our knowledge about Excel that we use so often and make us all efficient workers. Hey don’t go yet, if you’re looking to add to your knowledge then registering for #TASCON16 is essential as you’ll get to interact with like minded individuals like yourself.